This podcast is the start of a fascinating story, full of twists and turns. Over the next three shows we will see the O Neill kingdom who have dominated the first five shows challenged by the Dal Cais (the family of Brian Boru). This will see many challengers rise and fall as these two families battle it out for supremacy in medieval Ireland. The show begins with the rule of the O’Neill High King Donnchad Donn who came to power in 919. His life was intertwined with one of the greatest O’Neill warriors Muircherteach Mac Neill, eulogised on his death as “the hector of the west”. Find out how he earned that name and where Brian Boru’s family, the Dal Cais family originated. Northern O’Neill The Northern O’Neill kingdom dominated much of Modern day Ulster. It was ruled by the Cenel Eoghan however their rule came was challenged in 943 when the Cenél Conaill King Ruaidrí ua Canannáin . Southern O’Neill This was a kingdom in the North of modern day Leinster. It was ruled by the Clann Colman who produced the high kings – Donnchad Donn, Flann Sinna and Maelseachnaill I. They were deposed in 944 by Congalach Cnogba and the Síl nÁedo Sláine of Brega. Donnchad Donn Mac Flann, Son of Flann Sinna and O’Neill High King 919-944. He was ineffective and lived in the shadow of the Northern O’Neill king Muirchertach Mac Neill. After he died a civil war broke out between the Northern and Southern O’Neill. Muircherteach Mac Neill. King of the Northern O’Neill 937-943. Muircherteach seemed like he was destined to become the greatest O Neill High King after he brought the entire Island into submission through a series of devastating campaigns in the 940’s. He was the son of Niall Glundubh (his name literally means Muircherteach son of Niall). He was unexpectedly killed by the Vikings in 943. Congalach Cnogba (pronounced con-gal-ack) Congalach was technically Donnchad’s nephew, Donnchad had married his sister into the Síl nÁedo Sláine family* who were kings of Brega. After Donnchad died in 944 Congalach killed Donnchad’s son and became king of the Southern O Neill. Ruaidrí ua Canannáin (pronounced Ru -ree) King of the relatively obscure Northern O Neill family, the Cenel Conaill. He would become king of the Northern O Neill shortly after Muircherteach mac Neill died in 943. Dal Cais – The Dal gCais was the name of the clann that produced Cennetig Mac Lorcan, Mathgamáin and Brian Boru, who will dominate the next few episodes. This family would be known later in history as O’Brien (after Brian). They were originally what we would think of as minor nobility, serving on occasion as mercenaries to the O Neill’s (Simms, K. Kings to Warlords p118). Their rise from relative obscurity in the mid 10th century was not unique as some historians have suggested – they were part of a trend in the mid tenth century that saw old dynasties toppled. This also saw Ruairdri Ua Canannan of the Cenel Conaill seize kingship of the Northern O Neill (943) and Congalach Cnogba of the Síl nÁedo Sláine kings of Brega sieze the kingship of the Southern O Neill (944). This episode opens a controversial period in Irish history. The main controversy surrounds the rise of the Dal Cais – the family of Brian Boru. The Dal gCais had far less noble background than the O Brien’s liked to acknowledge. Historians take different approaches to the surviving material. 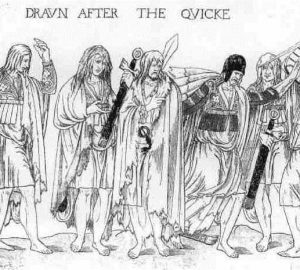 From my research I think that the “break through” of the Dal Cais was in part down to an alliance with the O Neill high king Donnchad Donn. 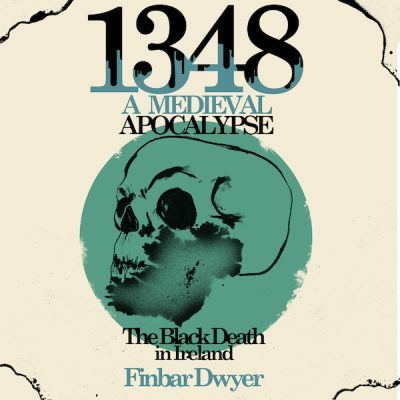 There is a good summary of the arguments in favour of this in Ireland from ancient times to the present by James Lydon and The Prophecy of Berchán: Irish and Scottish high-kings of the early Middle Ages by Benjamin T. Hudson. This is also augmented by the point made by Katherine Simms From Kings to Warlords that the Dal Cais had acted as mercenaries for the O Neills before their meteoric rise in the mid 10th century. It is worth noting however that Donnchad O Corrain the noted Irish medievalist disagrees with this theory. Finally a source that must be used with great care is the 12th century work An Cogad Gáedel re Gallaib (The war of the Irish and the foreigners). This work is essentially the story of the rise of the Dal Cais and is largely fictitious. It was written in the 12th century in an effort to rewrite the once humble origins of the Dal Cais. This is often cited by internet sources or older historical texts. Great care is needed in using any details in this work as it universally considered among scholars to be propaganda. 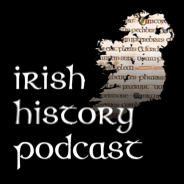 This is not to say it is not of use – it is a good insight into late medieval Ireland. An Cogad Gáedel re Gallaib Text here (This file is pretty large (35mgs). This translation dates from 1867. The prelude to the actual text would be regarded as completely out dated and factually incorrect in parts. The Circuit of Ireland by Muircheartach Mac Neill as gaeilge anseo. Lydon J, (1998) The Making of Ireland: Ancient Times to the present.